Organizational design centered in fulfilling your purpose. Holding space for accessing group wisdom through meetings and trainings that are lively, effective, and connecting. Balancing structure with flexibility, Tree creates high-quality process with clear results. Over years of helping groups function well, a considerable body of written work has accumulated to support that journey. I post articles, handouts, workshop exercises, and other writings freely for the public, in order to support you and your group’s development. Aside from my own work (and a few guest posts by friends), there are also pointers to Resources by others. Quick 1-page intro to liberated or "teal" organizations (similar to what's posted on the Overview page). These roleplay scenarios each have 3 roles—A & B (who are in disagreement with each other), and Q (who is trying to help). Based in typical community living situations, some take place at meetings and some not. Basic guidance for agenda planning. Lots of potential items, only one meeting, how do you choose and sequence? For group practice and learning. Questions for screening potential items. Short overview including sample interview. Types, requirements, and effective composition. Range of possibilities for helping groups get present. Consensus decision-making vs. Robert's Rules of Order majority voting. Useful information to keep in mind regarding conflict resolution, key principles and steps. Short, distilled overview from The Change Handbook. More recent overview includes a sample policy groups can adapt. If you only have time to read one piece on consensus, make it this one. Steps in the consensus process. Condensed version of basic info, such as how an item moves through the meeting, what helps it work well, and structures (agree/stand aside/block). A set of questions to engage with. If your group can dance with all of them to its satisfaction, chances are high that your consensus process will succeed. Strategies for dealing with difficulties, including reflection, feedback, third party support, and a straightforward set of steps for approaching conflicted situations. Explains how some communities use simple tools to move smaller decisions out of their main meetings. Reports the results of an informal survey on decision-making at cohousing communities, including the use of consensus, voting fallbacks, who is eligible to participate, and some of the tools relied on. 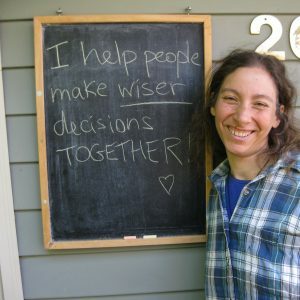 Review of a training course in "Choice-Creating," a mode of facilitation that is especially well suited to dealing with "impossible" problems or people. Suggestions on what to use it for, what not to use it for, and some other things to keep in mind about this nearly ubiquitous communication form. Tree's List of Participatory Event Venues in Eugene, Oregon. External resources that Tree likes but did not create. Basic principles, managing open discussions, facilitator's rap, working with blocks and concerns, roles of the facilitator, etc. This 21-page document covers topics including principles and methods of facilitation, formats, roles in meetings, and more. An over-simplified job description; bulleted list on eight aspects of the role. A few things to keep in mind regarding feedback, plus emails. Sample form for group members to fill out. Just what it says, excerpted from an conversation in Communities magazine. Personal Scavenger Hunt (American) or Personal Bingo! (Canadian version). Classic roleplay situation for a nonprofit, facing the dilemma of whether or not to accept a specific large donation. One basic suggested set, and some other possibilities. Instructions for 35 group games for fun, bonding, or insight. Because haven’t you always wondered? Advice on what to avoid and how to make it work out well when hiring members as professionals during housing developments. Brainstorm list on the energetic qualities of gathering presence. Bringing balance to the other side. 8 exercises for working out your conflicts with someone without relying on their participation. An approach to decision-making that requires consultation rather than consent. Short descriptions of more than two dozen formats suitable for use in meetings. Many alternatives to whole group discussion. What to attend to before the meeting starts. Variety of methods for assessing in the moment the level of group agreement about a proposal. What to remember to include when writing meeting proceedings for the record. 8 more scenarios for small group roleplays, focused on the theme of practicing pacing and transitions in facilitation. How to plan events for 50 or more people that are interactive, engaging, and generally fabulous. A naming of powers that often come with the role, as a step toward transparency and awareness. A few simple exercises culled from various sources. Advice for groups who are forming a committee to assist with conflict resolution. Questions for group members to consider when facing an entrenched conflict with significant charge and upset. 8 possibilities for rules about this and a sample community for each one. Overview of different types of roles group members play, and exercises for increasing role awareness and flexibility. For meetings of 90-120 min. From several communities and other organizations. The writing of a vision statement from scratch in a 1-day meeting, using an Appreciative Inquiry approach. What are they, why use them, how to use them effectively, who should be on them, how to build trust between committees and the rest of the group, and more. Set of challenge scenarios typical of meetings, for small group practice. Lyrics for songs that bring groups together. Diversity of opinion on block functionality. Tool oriented toward project management, could easily be revised to address other needs. Concrete ways to deal with one of the most common problems in meetings: balancing participation from more assertive vs. more shy members. So what's this "teal" stuff all about anyhow? A short intro. 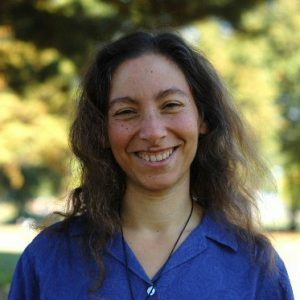 Resource Page for an ever-growing list of materials related to "teal" and evolutionary organizations. Just what it says, the short and skinny for those in a hurry. A list of values that underlie consensus decision-making. Process steps for how to move your values from nice fuzzy statements into real, specific actions with community support. 1-page handout covering basics about what a vision statement is and why have one. Guidelines for voting fallbacks to consensus. Suggestions for how to make this common challenge turn out as well as possible. What goes into making the judgment call about whether or not to go deeper into the emotions, guidance for going forward with it, and how to lay it aside if the answer is no. Advice & guidance in condensed format. Why is it that some meetings bring life to your soul, while others leave you wishing you’d never stepped in the room? What happens at the best ones, that makes them productive, fulfilling, sometimes even magic? 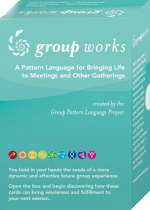 In addition to considerable client work, Tree’s experience also includes founding and stewarding the Group Pattern Language Project, collective nonprofit publisher of Group Works: A Pattern Language for Bringing Life to Meetings and Other Gatherings. This project drew together more than 50 experienced facilitators to distill the core wisdom of healthy group dynamics, resulting in the creation of a 100-card deck. Since publication in 2011, Group Works has been used by thousands of people in dozens of countries to plan events, reflect afterward, assess skills and gaps, problem-solve dilemmas, bring energy and spirit to sessions, and more! Available for free download. 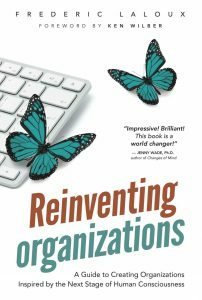 The book Reinventing Organizations by Frederic Laloux currently serves as a major inspiration and influence. Part of a movement toward evolutionary, liberated, or “next stage” organizations, this work is inspiring people around the world to design associations driven by clear purpose, welcoming people’s whole selves, and distributing power and authority to achieve fantastic results. Family-run business with 20 employees. Led group in looking together at current issues, including business succession and cross-departmental cooperation. Facilitation of bi-weekly management team meetings, monthly family meetings, occasional all-staff sessions. Developed and led trainings for meeting leaders within a company of 250, attended by all levels from CEO to truck drivers, to increase skill leading all kinds of meetings from shift change to financial review. Assisted in drafting guide to healthy meetings, supported implementation of improved meeting practices. Using Appreciative Inquiry and World Cafe methods and the services of a graphic recorder, facilitated full congregation in discernment and selection of priorities to focus on for the next few years. Students designed and led real meetings on host communities’ toughest issues, supported by coaching and teaching from Tree. In depth training and learning with eight 3-day workshops in each series. Aimed at regional capacity-building among cohousing groups, which are self-managed condo associations of one to three dozen households, run by consensus and sharing the work. Keynote presenter at annual conference of 60+ support group leaders for people with Parkinson’s disease. Led interactive training with table practice to address skills such as supporting people to go deeper and stepping in when someone talks too long. I feel blessed with a calling in Frederick Buechner’s sense: “Where your deep gladness and the world’s deep hunger meet.” I take pride in being an eclectic and adaptive practitioner, tuning into the group and balancing structure with flexibility. I’m a pragmatic idealist who believes in the power of high-quality conversation to generate collective action for change; i* find following a group’s energy to see where it leads an endless source of learning and growth. Fundamentally, my work is guided by the values of love, service, integrity, and curiosity. I see the process of facilitation itself as a spiritual teacher. Tree’s strong, caring, and competent style was a boon for all of us. She allowed time for everyone to be heard, but kept us on track to complete the tasks and meet the goals that we established at the beginning of the weekend. A year later, we have a Facilitation Group which meets regularly and provides leadership for what most community members agree are more productive and enjoyable Community Meetings.